Dr’s Andrew Turner, Simon Hurn and Jessica Nevile are Honorary Fellows and Lecturers at the University of Melbourne Faculty of Veterinary and Agricultural Sciences. 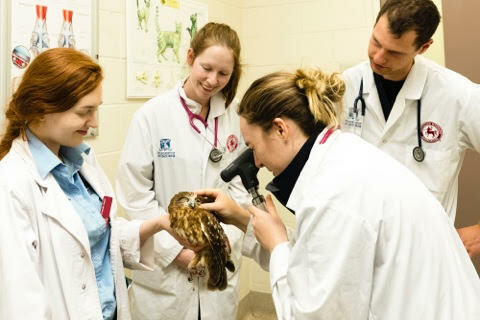 Our Veterinary Specialists provide the small animal and large animal ophthalmology clinical service at the University Hospital in Werribee. In addition, our veterinary specialists deliver the student lectures and teach practical classes to the veterinary students in the final years of their study. Our specialists are available for consultation at the U-Vet Werribee Animal Hospital every Thursday afternoon and once a month for a full day. To arrange an appointment please contact All Animal Eye Services on 03 9808 2822.